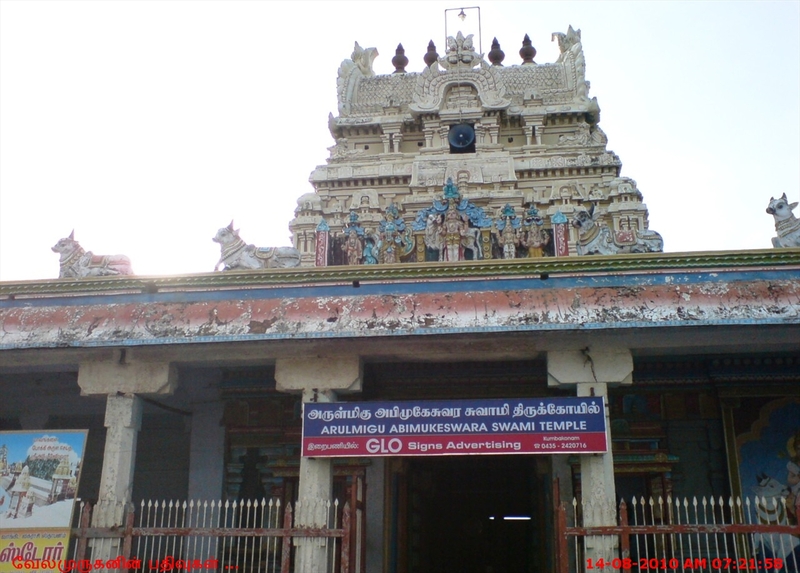 A famous temple in the holy town of Kumbakonam, Sri Abhimukeswarar with the prime deity facing the west is a renowned temple in the temple town of Kumbakonam. It is a highly revered shrine with the prime deity as Lord Abimukeshwar (an aesthetic form of Lord Shiva). 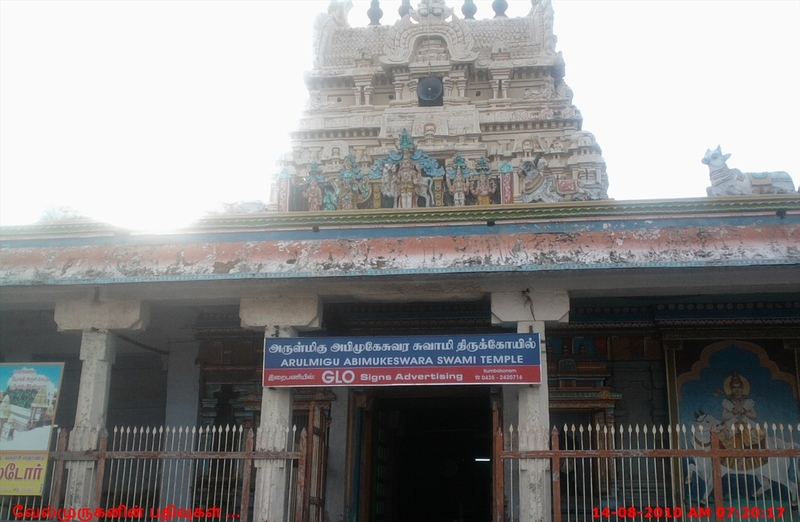 The temple also houses Goddess Amirthavally the consort of Lord Abhimukeswara. 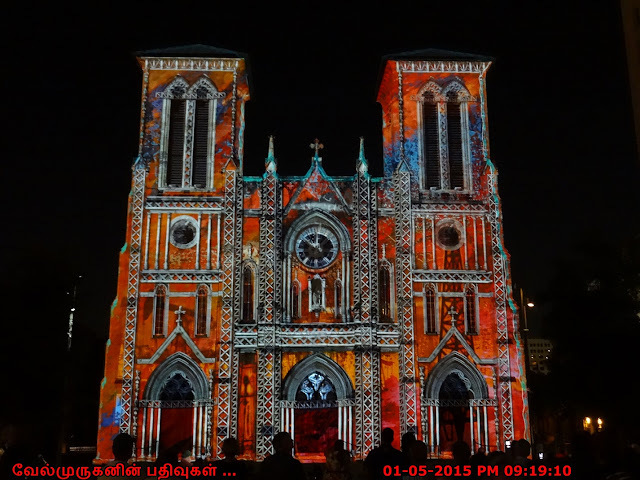 The temple structure shows the brilliance of ancient South Indian architectural styles. The idol is attractive with divine features. 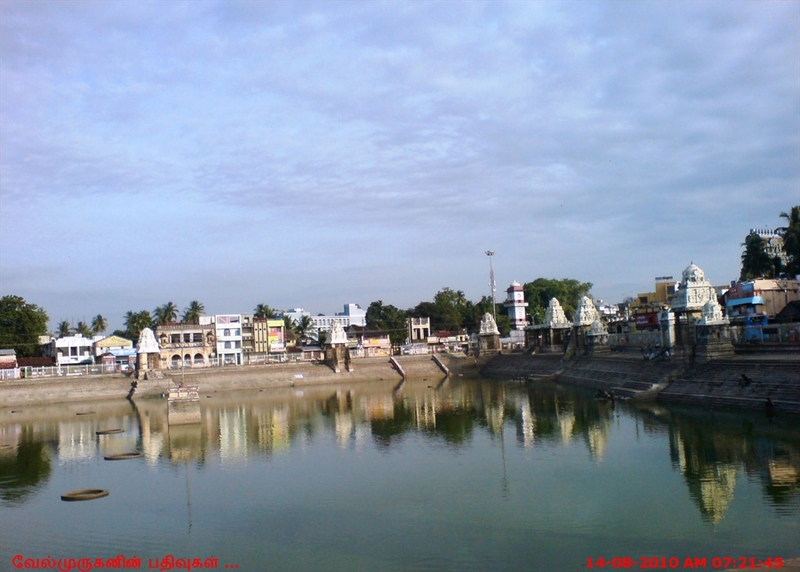 It is believed that the deity in this temple faces west to allow darshan (view) to the nine river maidens during Mahamagam Festival. The temple attracts huge crowds during Mahamaham festival. 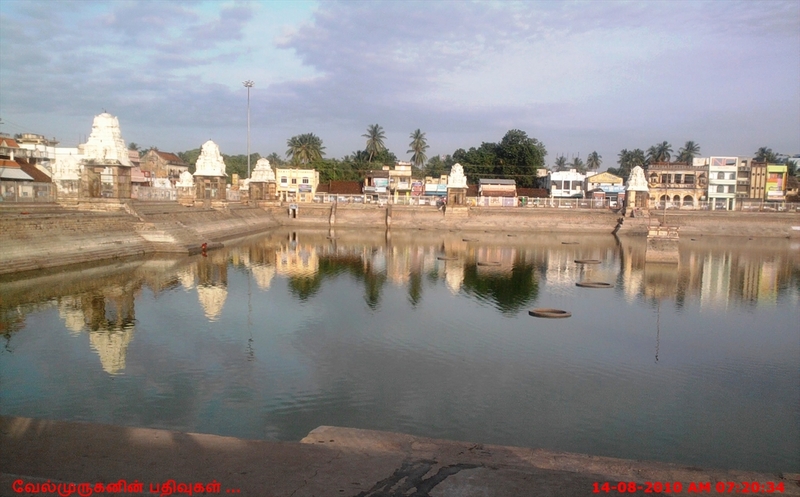 Abimugeshwarar Shiva & Parvathi Temple and Nava Kannigal Temple (Kasi Vishwanathar Temple) is located in the heart of the city Holy Mahamaham Tank Eastern Side. 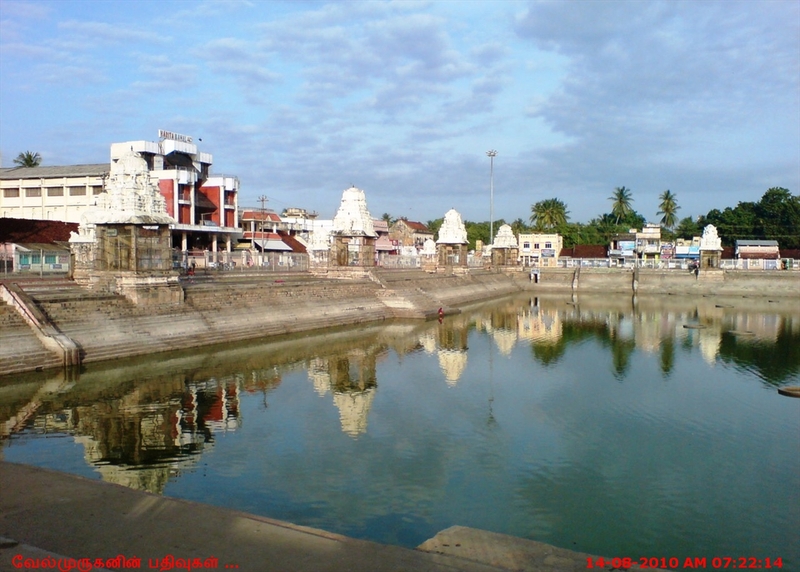 One more great Vinayagar Temple is called Arasa Tree Vinayagar Temple also the Rightern Side of the Tank is very popular temples. Inside Abimugeshwar Temple Bairavar, Hanuman, Navagraha, Murugan, Vinayagar is there. Once in a year Masi Month (February to March ) Masi Magam Festival Performed for this temple. Temple Boat at this Holy Tank is very beautiful in the nights. The Mahamaham festival is celebrated once in twelve years here during the month of Maasi. 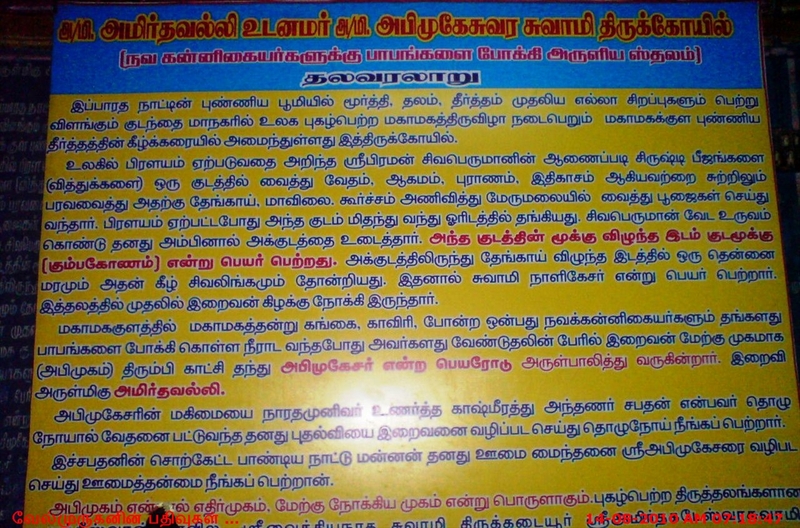 How To Reach : Temple is in walk able distance (1km) from Kumbakonam Bus Terminal. There are lot of town and mini buses available for this temple. The bus stop name is Magamagam Tank or Kumbakonam Head Post Office.